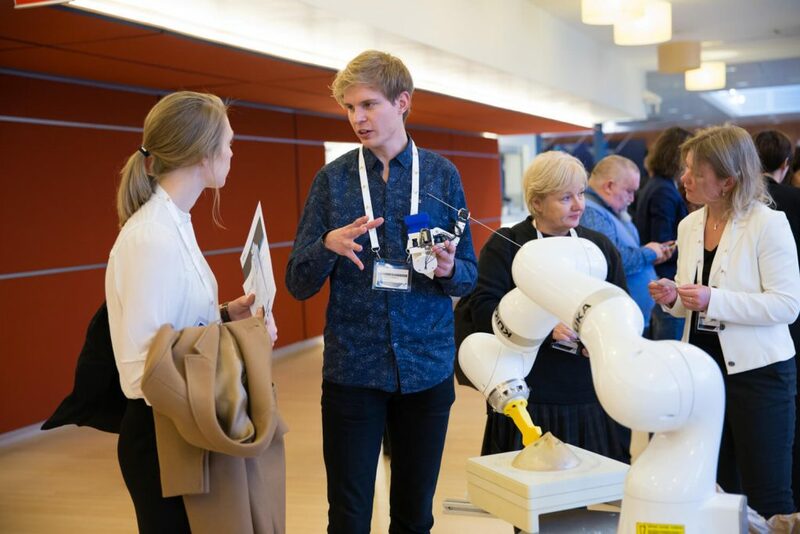 MURAB project joined the the European Robotics Week 2017 (ERW2017), an important event in the field of robotics that took place around Europe on 17–26 November 2017. 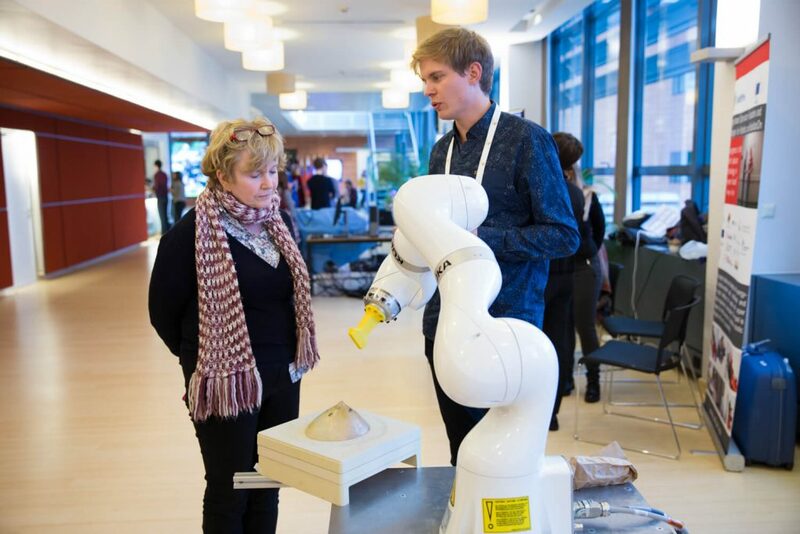 MURAB was invited at the Central Event organised in Brussels participating at the “Robots Discovery” exhibition hosted by the European Committee of the Regions 20-23 November). For the occasion robotics experts from 30 European and regionally-funded projects outlined how their work can impact society. On 20 November Françoise Siepel and Marcel Welleweerd from project leader Twente University explained people MURAB aims and technology during the day focused on Healthcare Robotics. 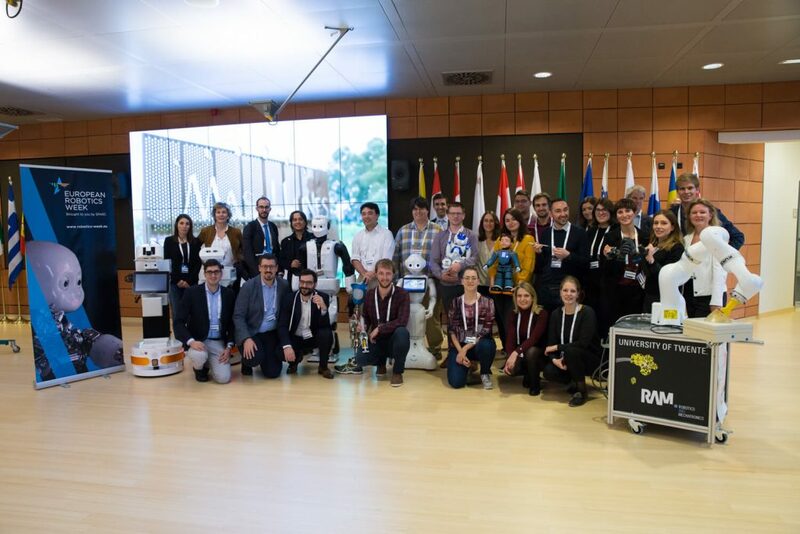 The European Robotics Week (ERW) was conceived at the European Robotics Forum (ERF) 2011 by the desire of the European Robotics community to bring robotics research and development closer to the public and to build the future Robotics Society. 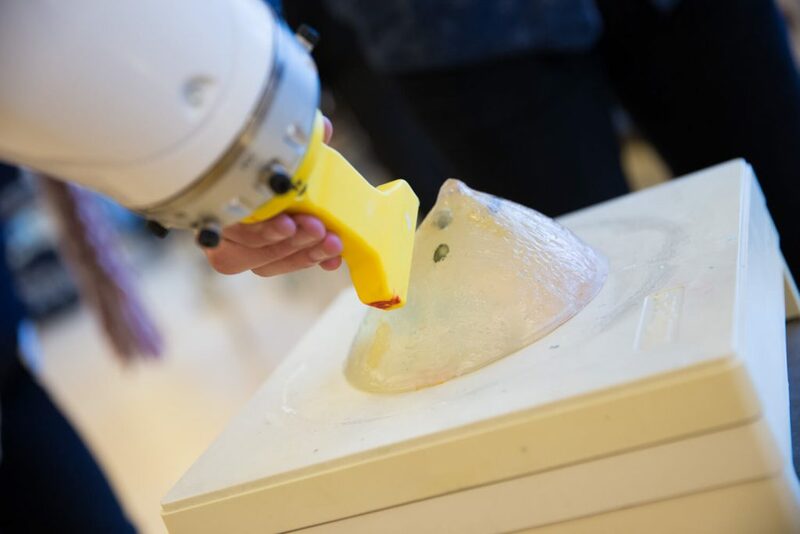 Since then and every year, the ERW has offered one week of various robotics related activities across Europe for the general public, highlighting the growing importance of robotics in a wide variety of application areas and the growing importance of skills in science, technology, engineering and math (STEM). Find more information at this link!